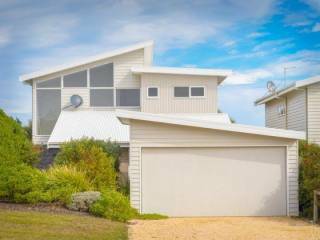 This 2BR flat is in Newfield area, 7 kilometers north of Port Campbell and 8 kilometers south of Timboon. It is located on the farm of Ron and Ruth Alsop, owner of Summers Rest Units. It has a QS bed, 2 single beds, full kitchen, shared laundry and air-conditioned. Staying in the farm also gives you the opportunity to see the farm pets that the family have (Alpacas, Fox, Ferret, Dog and Cat). The 3 bedroom house has 2 QS beds and 2 single beds and can accommodate large families with its large lounge room, kitchen and dining area. It has a reverse cycle heating and cooling, electric blankets, and austar television. The large kitchen has all electric cooking facility, microwave, dishwasher and fridge. It has hair dryer, one shower and one toilet, outdoor decking area and a large parking space. 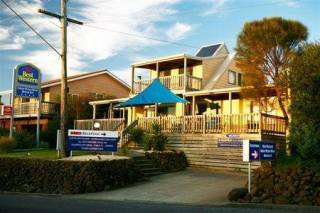 Summer’s Rest Units are family self-contained units in Port Campbell, Victoria on the Great Ocean Road, the home of the world famous, The Twelve Apostles. These spacious and well appointed two bedroom units are privately owned and managed, are equipped with modern facilities and amenities. Situated on the quiet street of the town with the garden setting, Summer’s Rest is just the place for you to unwind and stretch out after enjoying the scenery, beauty and tranquillity this town has to offer. 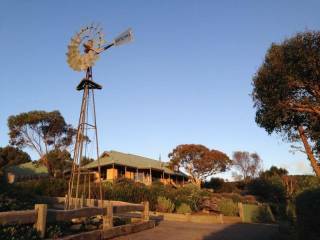 Centrally located it is just a short walk to restaurants, shops and beach and few minutes drive to Loch Ard Gorge, Twelve Apostles, Gibson Steps, London Bridge and Bay of Martyrs to name a few. A self-contained two bedroom cabin, three bedroom house and a one bedroom flat is also available. Summer’s Rest Units is your home away from home. The 2 bedroom self-contained units are designed to cater for families. It has a QS bed in the first room and a bunk bed and single bed in the second room to comfortably accommodate a family of 5. It has a reverse cycle heating and cooling, electric blankets, austar television, electric cook top, microwave, fridge, hair dryer, shower and toilet and private balcony. The 2 bedroom self-contained cabin has a double bed and 2 single beds, electric blankets, reverse cycle heating and cooling, austar television, gas cooking facility, microwave, fridge, shower and toilet. It has an outdoor decking area. The 1 bedroom flat has a QS bed and a bunk bed. It can accommodate a family of 4 travelling on a budget for overnight stay. 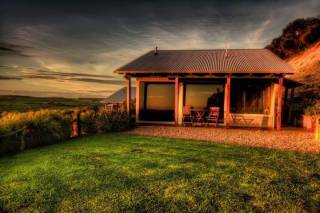 It has a reverse cycle heating and cooling, austar television, coffee and tea making facility, microwave, fridge, shower and toilet, outdoor decking area. All cancellations made 24 hours prior to arrival will incur the first nights cost, regardless of the number of days booked. Summer's Rest will charge the full booking cost if cancelled on the day of arrival or in cases of "No Show".